Before starting Akshaya Foundation School I was a regular school teacher. A good friend suggested to me that I should start a school. I got help from my father who had a successful business of constructing greenhouses. He bought land for the school in Nallagandla and provided financial support to begin construction of the building. This was in 2006. In 2008 we started Akshaya Foundation, an English medium school, with 80 students from KG-1 through Class 10. By August 2008 the school had a ground and first floor. In the first year we had just 2 students in Class 10. The school is located on the outskirts of Hyderabad, in rural surroundings that are steadily getting urbanised. In 2009 we bought one bus to bring in students who live a few kilometres away. Today, in 2017 we have 850 students with two sections each from KG-1 through Class 6 and one section each for the higher classes. Our third floor is currently under construction. We now have four buses that bring students from places around Vattinagulapally, Station Nagulapally, Gowlidoddi, Kollur and Tellapur. Our students are drawn from Nallagandla and the neighbouring villages. Several of them speak the Lambadi language.1 Many more belong to families that have migrated in recent years from different parts of India, particularly from the West and North. Thus language is a major issue in our classroom teaching. We offer after-school classes which are attended mostly by students who live in Nallagandla, who need extra help with their studies. 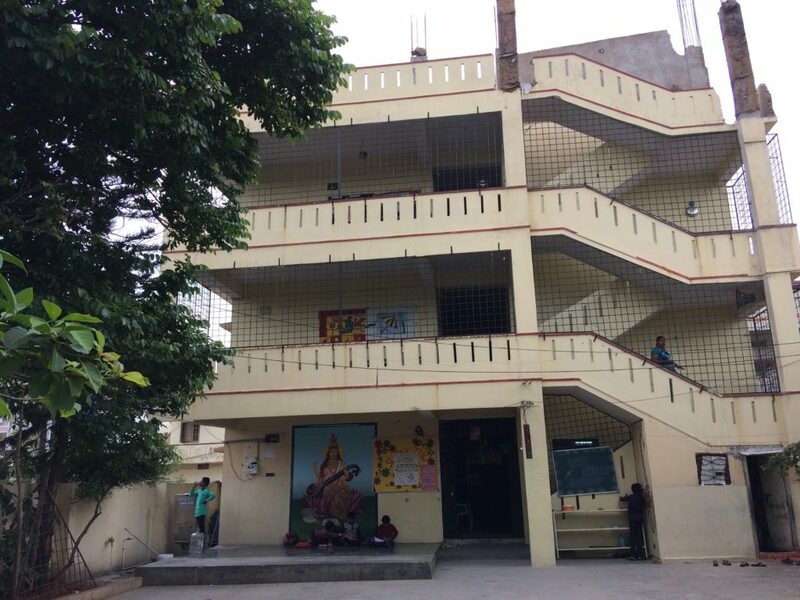 Our school has been able to retain students from many other competing schools because parents feel that their children get better care at Akshaya, that they are more disciplined and learn to speak English. My own first degree is Masters in Commerce. After starting the school I completed a B.Ed. From Osmania University and an English Certificate course from the University of Hyderabad. Until last year I taught English at Akshaya. We decided to use Small Science this year, in 2017. My reasons for taking this decision are as follows. I find that other books jump from topic to topic. Small Science goes into detail with each topic, like living things, water and food. It is simple, based on the pleasure of learning, at the level of students of this age group, has stories and includes day-to-day experiences of students of different backgrounds, rural and urban. I feel will be good for our children. Small Science is a very different kind of curriculum from the one to which we have been accustomed. This year for the primary section we have new science teachers who have no teaching experience at this level. Though they are enthusiastic I feel that they will face some challenges in implementing the Small Science curriculum. At present they are doing it in addition to the science content from their regular term books. I am certain that in time they will get familiar with the new method and will implement it successfully with very good results for our children. Big questions from Small Science ! !